Our hearts are broken beyond words at the loss of our dear friend Dr. Richard Bish on Wednesday, 8/18/10. Visitation at 10am; Service at 11am. Pastor Terri Moore, Dr. Bruce Miller, Dr. Bob Hamblen, Pastor Tobe Witmer. Lighthouse has been asked to bring sidedishes for the reception. We will need many ladies to participate. If you can make a sidedish, please contact Gloria Pharis or the church office. We will miss you so much Dr. Bish. You touched so many people's lives. Thank you for being willing to do anything that was asked of you. Thank you for the blessing you were to Lighthouse. 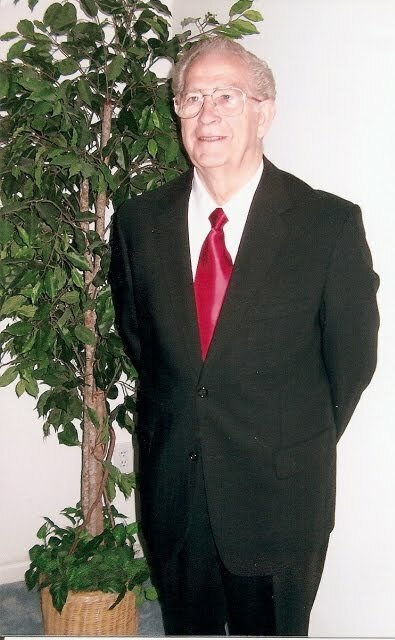 Pastor Bish was the pastor and administrator at Missionary Bible Baptist Academy in Hanover for many years. He impacted more lives there than I believe he ever realized. Pastor Bish was a kind and good-hearted man. His family members, both immediate and extended, are in my thoughts and prayers with deepest sadness and sympathy. My God's hand continue to comfort you at this great time of sadness. The family is in my prayers. I pray for comfort for his children, Mrs. Wyatt, his friends and his church family.